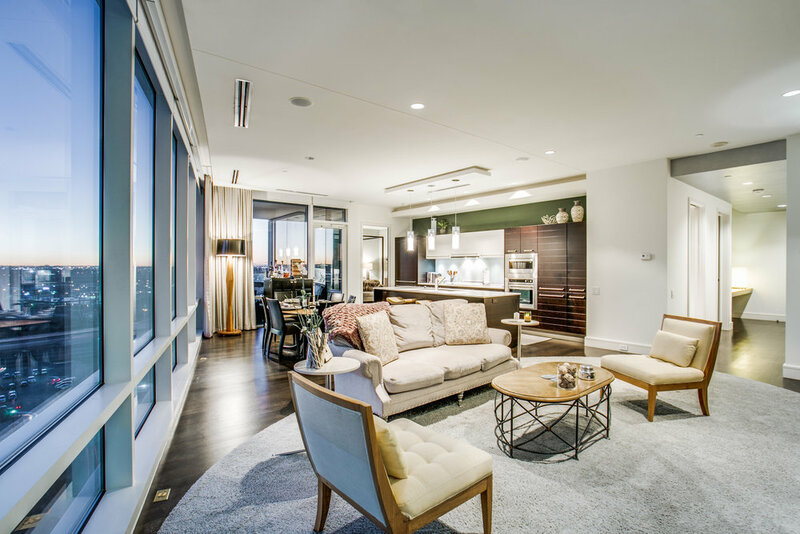 Professionally designed by Julio Quinones, this fully furnished South Tower residence is immaculate! 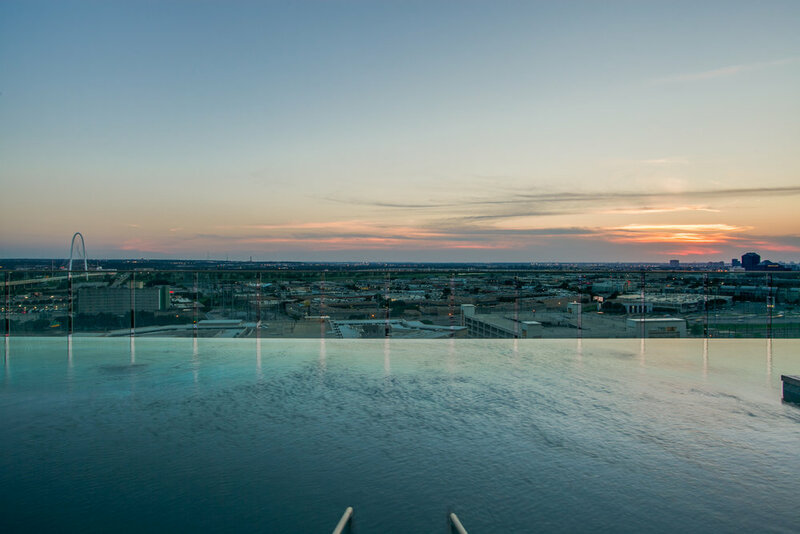 Unobstructed views of the Dallas skyline framed in floor-to-ceiling glass. Being here at night literally takes your breath away. 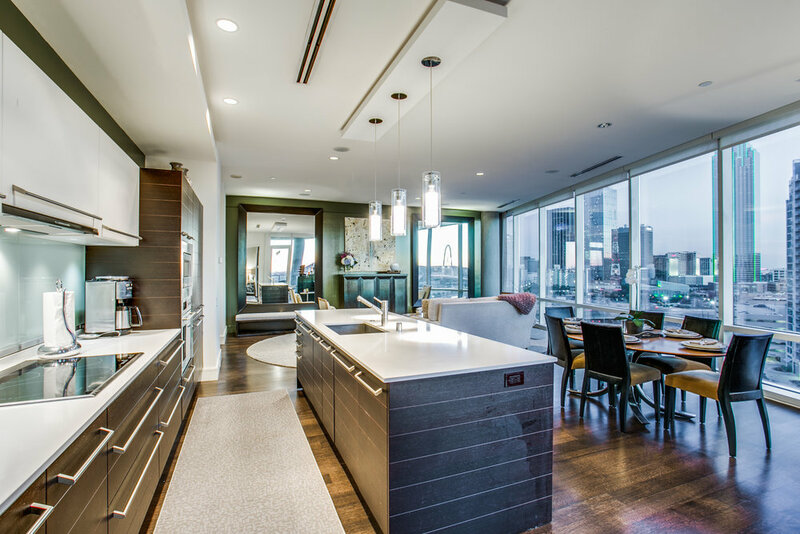 Gourmet kitchen with sub-zero fridge and Kupperbusch appliances. 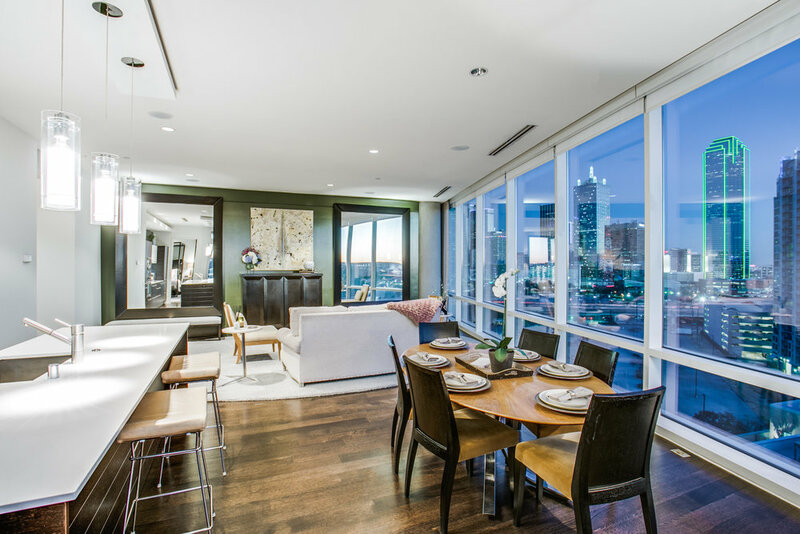 Custom Italian cabinetry and marble countertops throughout the entire home. The terrace is a comfortable 172 sq. 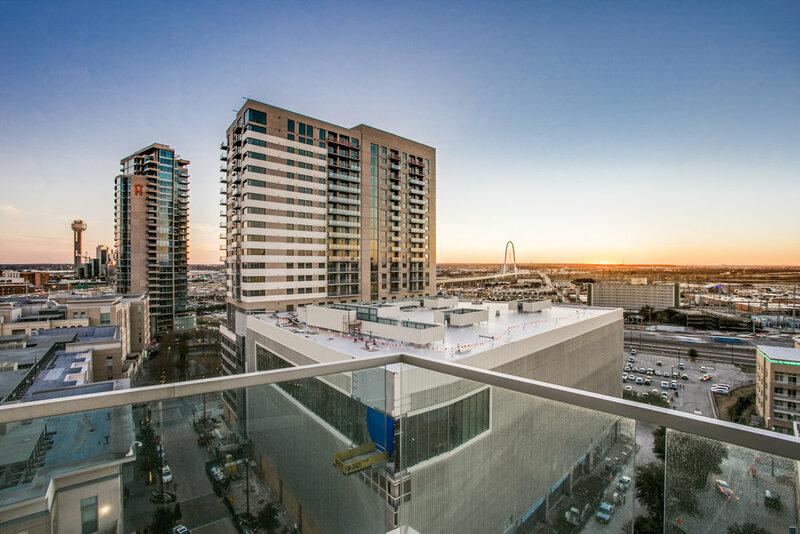 ft. and offers incredible Southern and Eastern views. Master bath is the perfect size and has a walk-in closet with custom closet system. 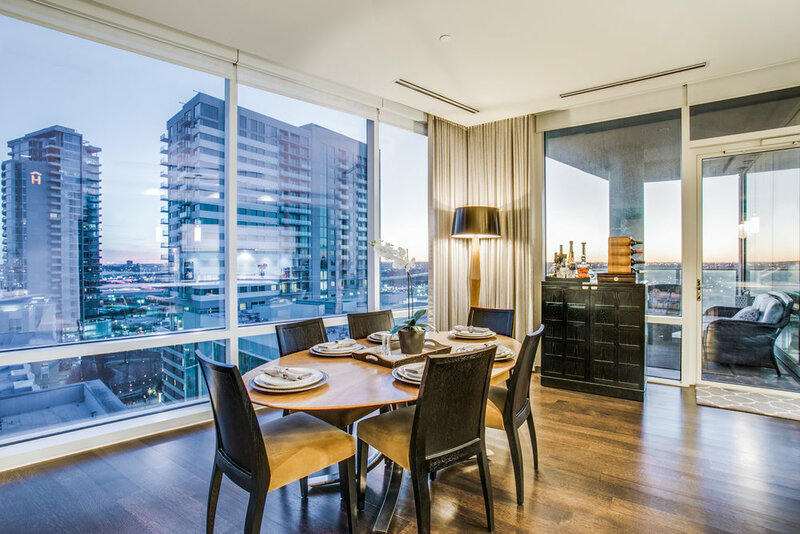 HOA includes 24/7 valet, concierge, access to 5,000 sq. ft. Bliss Spa, 2 workout rooms, and 2 pools. 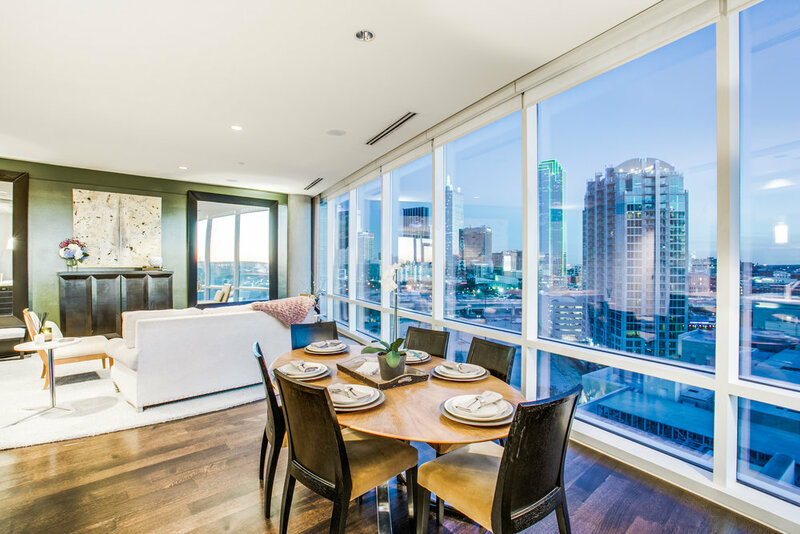 Don't miss this opportunity to own one of the nicest condos at The W.